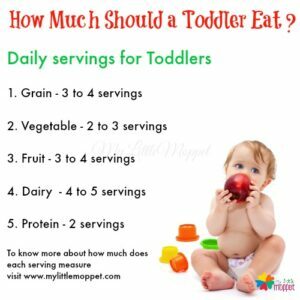 How much should a Toddler Eat? This is a question that befuddles many moms, so decided to tackle this issue today. So I have compiled a chart that can be used as guide for as how much should a toddler eat every day? . If one day your toddler is not sticking by it, don’t worry, if you can stick by it most of the days then it should be fine. 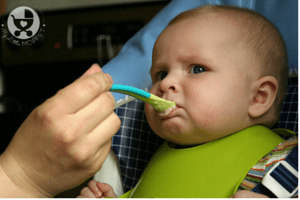 Also read How to Feed Your Fussy Toddler? Each child is different with unique build and tastes so always follow your toddler cues as what to feed them. 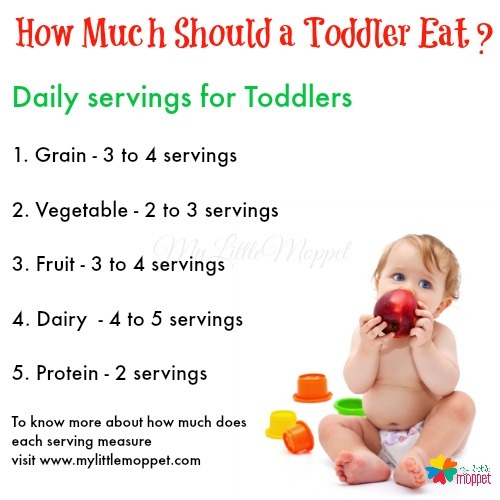 How much is One serving for a toddler? The serving size for a toddler depend on the build and activity level. It should be approximately one fourth of an adult Servings. 1. How much is one serving of Grains for toddler? 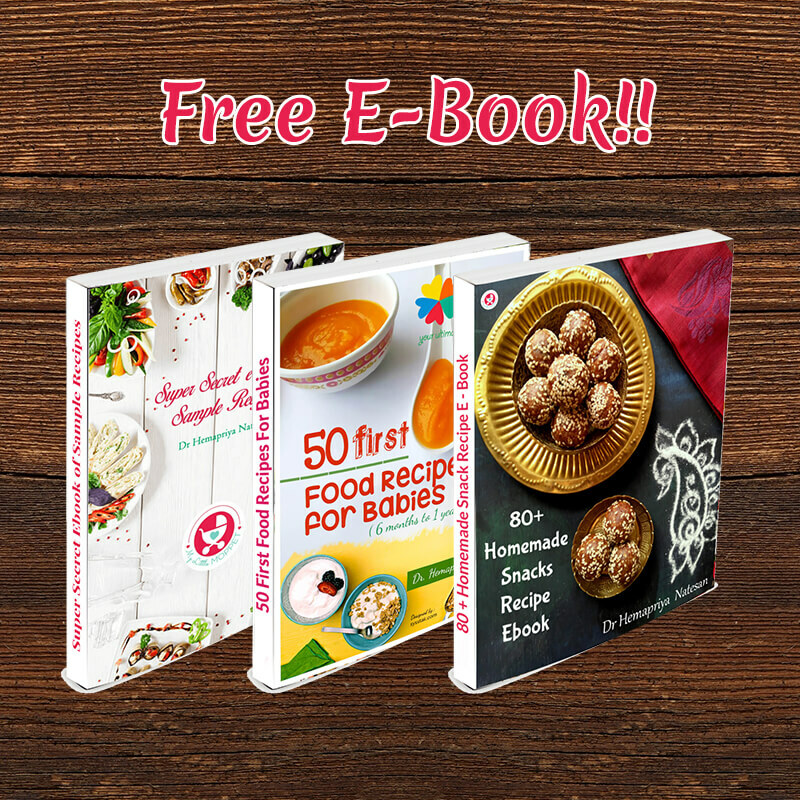 Cereal or Cooked Rice – 1/4 to 1/2 cup. Whole Wheat Bread – 1 slice. Wheat or Rice based Porridge – 1/4 to 1/2 cup. Roti/Paratha/Pancake – 1 small one. Dosa/Idli – 1 small one. 2. How much is one serving of Vegetables for a toddler? 2 to 3 tablespoon cooked vegetables in Curries, Khichdi, stir fry veggies or 1 tablespoon for each age. 3. How much is one serving of Fruits for a toddler? 1 or 1/2 whole fruit as raw, steamed. 1/4 cup of 100% juices. 4. How much is one serving of Dairy for a toddler? 1/2 cup milk or 1/2 cup yoghurt. 5. How much is one serving of Proteins for a toddler? 20 – 30 gm of meat. 4 to 5 tablespoon cooked lentils in Dal, Khichdi and curries. These are just guidelines and you don’t have to be very strict in following this regime. 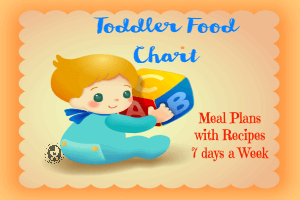 Make sure the toddler diet is balanced and he is eating equal amounts of all foods. Healthy snacks can be given 2 to 3 times a day. Encourage your toddler to communicate when his tummy is full and stop feeding at that. Never bribe or show television to make toddlers to eat. It destroys their future healthy eating habit. 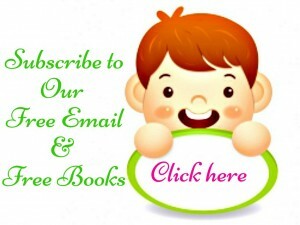 Are you concerned about your toddler’s eating habits, do let us know about it. Pin it up for future reference. 1. American Association of Pediatrics. 2. Making sure your child is eating enough. 3. Portions and serving sizes for toddlers. Nice info. Can u please suggest me what kind of snacks can i give to my 16 months baby?  https://www.mylittlemoppet.com/40-healthy-breakfast-recipes-for-toddlers/ Check some of these recipes dear. Please look for brands that do not add salt. Appetite and quantity of food given should definitely be based on food eating habits of toddlers. You may give lesser quantity to your little one. 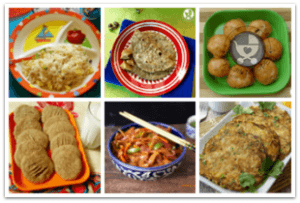 The idea is to offer them variety of food options at this age. I used to give boiled apple to my son when I started solids for him. He is 19 months now but still eats boiled apple. He does not like raw apple or any other fruit for that matter. Please advise how should I make him eat fruits raw. Also does boiling lead to loss of all nutrition from apple. My son is 3 year 8 months and looks underweight for his age. He is an active child, but refuses to eat fruits and vegetables. I do give him vegetables by pureeing and mixing with his dal because he spits it out of he gets chunks of anything .but fruits I am unable to feed.He likes the flavored yogurt which we get from shop.so I tried to add just 3 tbsp of the fruit pureed into it . but he immediately got to know and spit it out .he is not that found of plain milk so milkshakes is out of question.please help me out. My daughter is 16month old now. She is very fussy eater. She doesn’t like to drink milk.. No milkshakes, no fruit juices nothing. She just like eating plain white rice and just roti. she is extremely active whereas food intake is v poor. She asks for breastfeed every now n then. 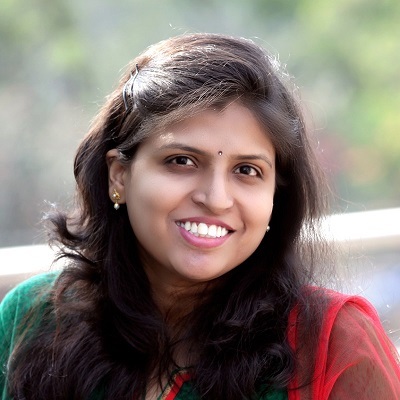 Hi Hema, very informative article. My son is not keen to have juices or milk because we live in a cold country is it ok to make him have fluids only when he is thirsty? He is 20 months old and still on breastfeeding so does it change the dairy requirements mentioned above?thanks in advance for your suggestions. 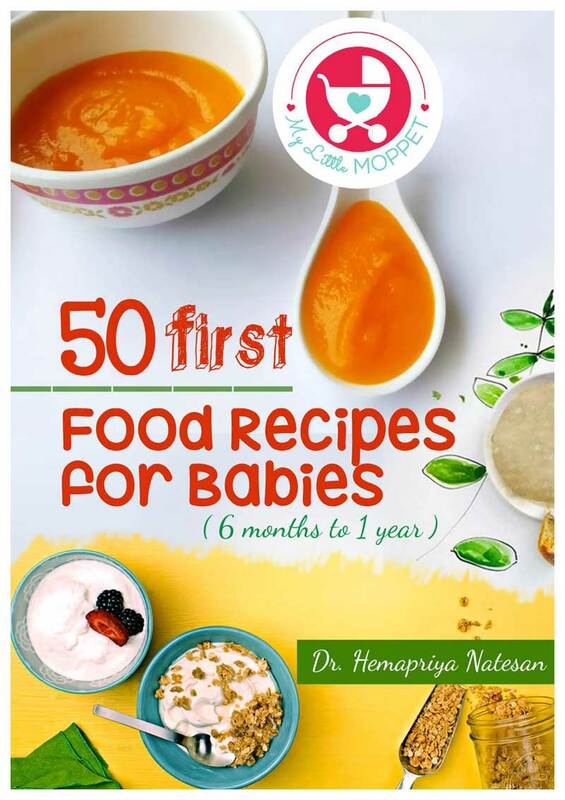 My daughter is 1 year 10 months.She is extremely fussy and we go through agony every day during every feed .She is otherwise has completed all her milestones well ahead of everyone of her age, but she is very thin.She is being fed only four times( 200 ml of Milk with puffed rice powder, rice,daal & fish, suji porridge, then rice butter & mashed potato. Do you think it is good for her. Hi Hema . The post is very informative. My little boy is 15 months old. He does not like fruits at all. I have tried feeding him in many ways but no luck. Can you suggest me any option? My daughter is 3 yr and 7 months old. She is very week, falls sick frequently. Always non interested in food and milk. Pls help improving her eating habits and health.